Is LEGO DC Super Heroes: The Flash on Netflix United States? Sorry, LEGO DC Super Heroes: The Flash (2018) isn't available on Netflix United States, but is available in a different country. The morning sun shines on the jewel of the Metropolis skyline, The Daily Planet building. But when The Joker decides this building needs a renovation, it's time to sound the Trouble Alert ... The Joker is raring to renovate Metropolis. The Justice League is set to stop him, but first the Flash must break a time loop and battle a new foe. The morning sun shines on the jewel of the Metropolis skyline, The Daily Planet building. But when The Joker decides this building needs a renovation, it’s time to sound the Trouble Alert because all bricks are about to break loose! The Justice League leaps into action but as the battle is brewing against The Joker something goes haywire with The Flash’s powers causing him to get caught in a repeating time loop and even stranger is the yellow clad Reverse Flash taunting him at every turn! It will take all of Flash’s speed, a little magic and the helping hands and paws of the Justice League’s new recruits The Atom, Krypto the Super Dog and Ace the Bat Hound to break the cycle and save Metropolis! 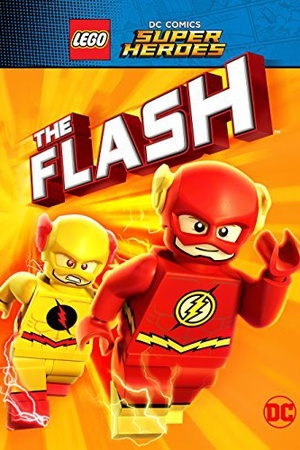 Check the LEGO DC Super Heroes: The Flash (2018) trailer!